Women sit in the window of a Meiji period brothel in Yoshiwara, Tokyo’s well-known red light district. For more in formation about Yoshiwara, read Tokyo 1900s • Yoshiwara Omon. For other photos of prostitution in old Japan, see Prostitution. The Google map shows where the entrance of Yoshiwara used to be located. 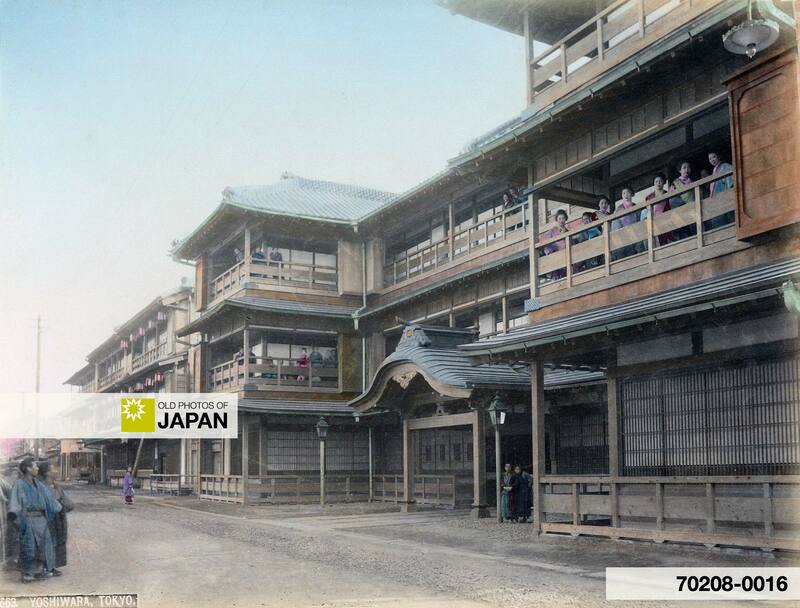 You can also licence this image online: 70208-0016 @ MeijiShowa.com.